WOODLAND HILLS, Calif. – July 12, 2013 – In a partnership with two California State University schools, Northrop Grumman Corporation (NYSE:NOC) recently sponsored the second year of a student project that successfully demonstrated the collaboration between unmanned aerial and ground vehicles. Photos accompanying this release are available at http://media.globenewswire.com/noc/mediagallery.html?pkgid=19840 . 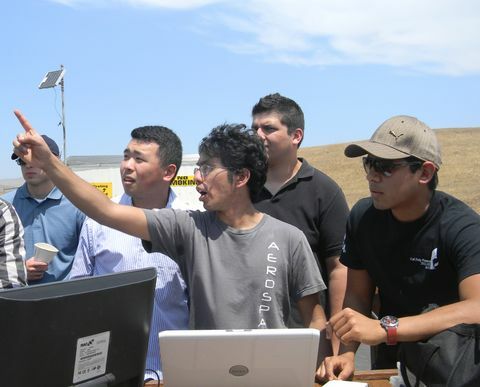 On June 1, engineering students from California Polytechnic State University, San Luis Obispo (Cal Poly, San Luis Obispo) and California State Polytechnic University, Pomona (Cal Poly, Pomona) gathered at the experimental flight field outside San Luis Obispo for a flight demonstration that ended a yearlong collaborative project on autonomous flight and geolocation. This year's project built on the effort started during the 2011-2012 academic year. In the first year of the project, an unmanned aerial vehicle provided an accurate geolocation solution to a ground vehicle. The aircraft located a target that resembled a large red exercise ball, and transmitted its coordinates to a ground station, which then directed a ground vehicle to navigate to the target in the field. The program was expanded during the second year to include a second unmanned aerial vehicle whose mission was to drop a bottle of water at the location of the target whose coordinates were established by the first autonomous aerial vehicle. Similar to the program's first year, the autonomous ground vehicle navigated to the target and verified that the package – in this case, the bottle of water – had been delivered close to the target. 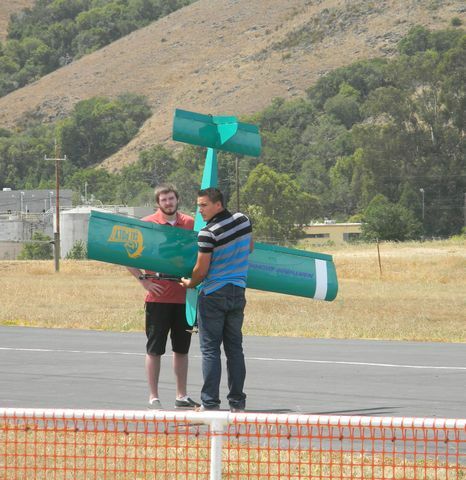 To prepare for the demonstration, Cal Poly students from San Luis Obispo enhanced a fixed-wing remote control aircraft with sensors and a communications link, while students from Pomona developed a second aerial vehicle capable of carrying and releasing a water bottle at a waypoint determined by the aerial vehicle so that the bottle would successfully land on the target. Pomona students also made numerous upgrades to their ground vehicle. Approximately 50 students from the two campuses participated in the program, forming virtual teams to remotely collaborate on the project. 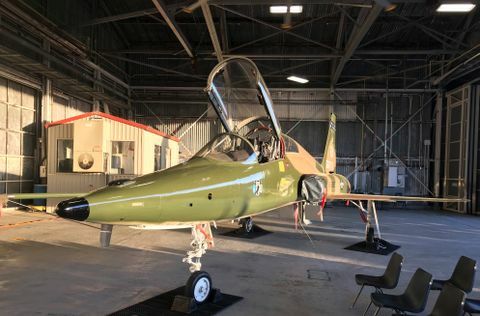 "The project demanded an exceptional degree of collaboration, and the students rose to the challenge," said Eric Mehiel, chair of the aerospace engineering department at Cal Poly, San Luis Obispo. "Programs like this take 'learn by doing' to new levels. The advanced nature of the technology requires students to acquire and apply new knowledge that is beyond the traditional class or textbook." The program leveraged three Northrop Grumman core capabilities: unmanned vehicles, sensors and geolocation, and distributed systems integrated through software. Northrop Grumman provided supplies and designed the program's curriculum. Additionally, Northrop Grumman employee volunteers served as mentors and provided a technical critique of the student-led design approach during a midyear project review. "This student project provides excellent preparation for the future workforce, which will come to the job thoroughly prepared to take on the toughest engineering challenges," said Charles Volk, vice president of Northrop Grumman's Advanced Navigation Systems business unit. Northrop Grumman and the two Cal Poly campuses plan to continue the partnership during the next academic year by building on the initial project concept. 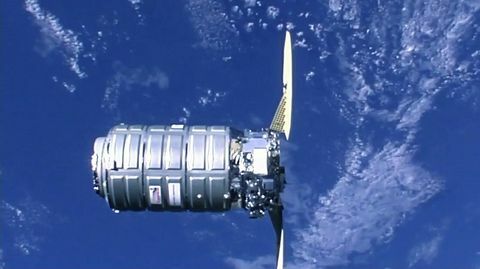 Northrop Grumman is an ongoing contributor to science, technology, engineering and mathematics educational activities and initiatives in the local community.